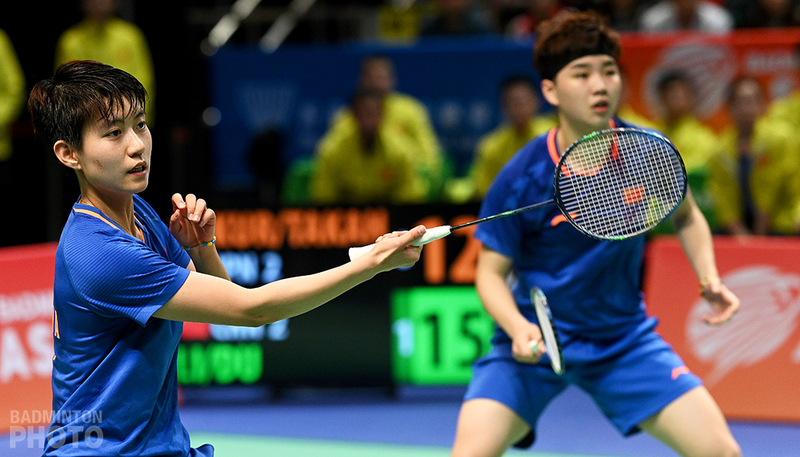 Du Yue contributed to two wins and Han Yue brought in one as China edged Japan 3-2 to take the second Asian Mixed Team Championship title. Asia may have owned the Sudirman Cup – badminton’s world mixed team championships – since that competition was first held in 1989 but on Sunday in Hong Kong, it was only the second time that a continental title was awarded in such a competition. 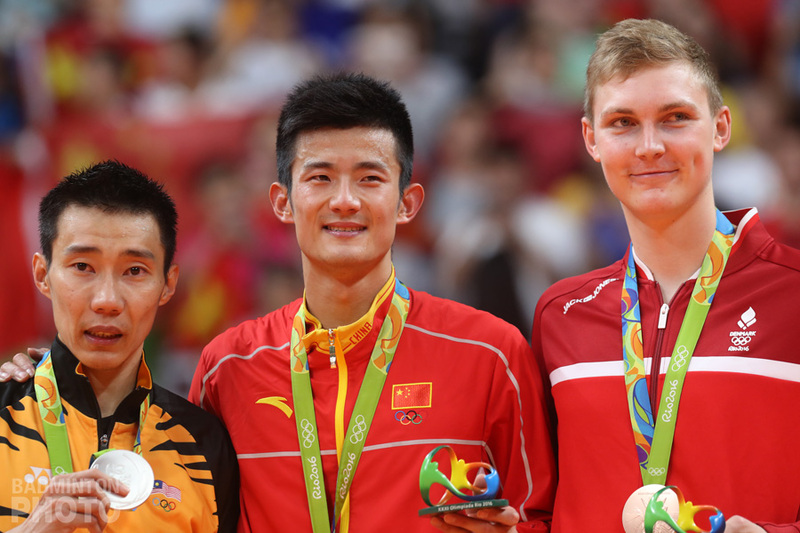 While Europe has had a team event involving the mixed doubles discipline since 1972 and the Commonwealth Games has had one since 1978, both the Asian Games and the Southeast Asian Games have stuck with separate men’s and women’s team events. Just 13 years ago, the Asian Junior Championships changed to a mixed team event but it was more than a decade before a continental mixed team title was inaugurated at the senior level. In 2017, Japan won the first ever title of its kind and this year they were back in the final, though with far fewer star players on either side of the net as they faced off against China for the newly minted trophy, now known as the Tong Yun Kai Cup. The final tie on Sunday featured all but one of the 7 players from the current world’s top 10 who were on hand in Hong Kong for the tournament. 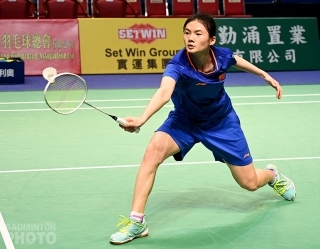 In fact, it began with the only actual first string competitors from either of the two finalists, as All England runners-up Yuta Watanabe / Arisa Higashino (pictured above) faced off against world #12 He Jiting and Du Yue (pictured left). Korea Open winners He and Du got the Chinese team off to a winning start by scoring their first ever victory against the world #3 pair. 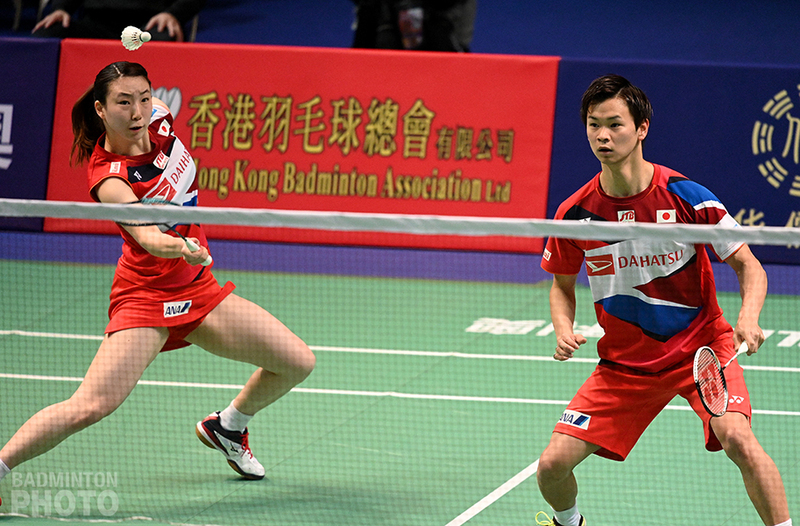 Two years ago, when Japan beat China to reach the inaugural continental mixed team final, the tie started similarly, with a loss by Watanabe and Higashino, who had not yet achieved their breakthrough performance. 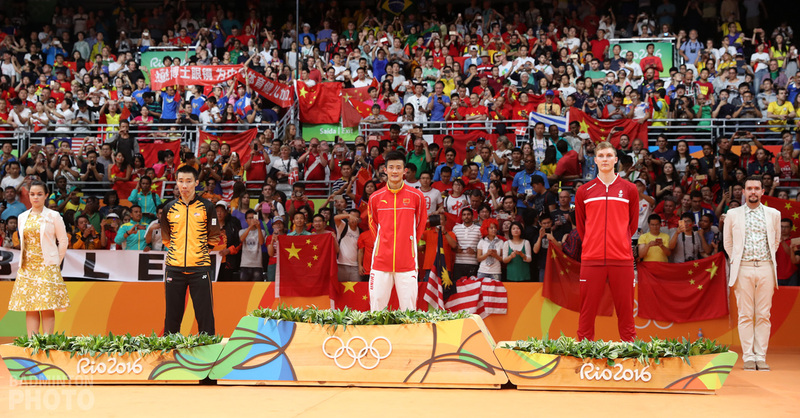 Furthermore, in this edition – as in 2017 – Japan bounced back to take both the men’s singles and doubles. First, Kanta Tsuneyama dominated Lu Guangzu in singles. Tsuneyama had to mount a comeback late in the first game but never looked back in the second until he had it, allowing Lu just 7 points. 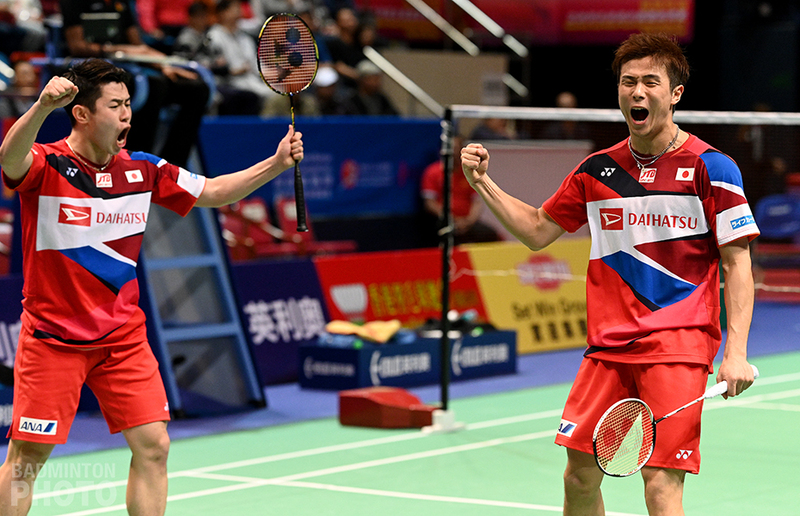 Then Japan’s 4th-string pair, Korea Open runners-up Yugo Kobayashi / Takuro Hoki (pictured right), upset world #9 Han Chengkai and Zhou Haodong. 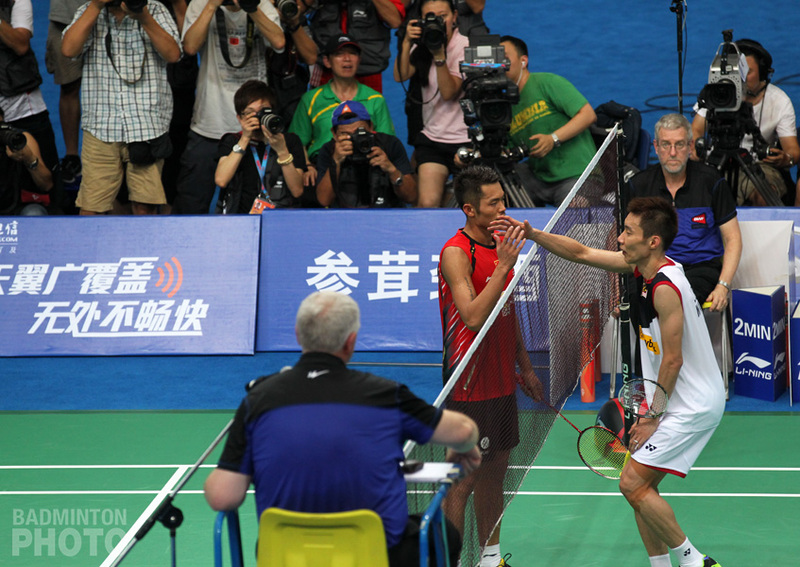 The French Open winners took the first game but were outclassed 21-13 in the decider by the Japanese veterans. This time, however, Japan did not have either of its two top 5 women’s singles aces to rely on to seal the deal against China. Even so, it was a very even contest between each team’s 3rd-ranked player: world #12 Sayaka Takahashi for Japan against #14 Han Yue (pictured below) of China. The 19-year-old Han bounced back from dropping the first game to win the longest match of the afternoon, beating Takahashi 21-17 in the decider. To seal the tie for China, Du Yue and Li Yinhui (pictured top) would have to become the first top ten players of the day to win their match. 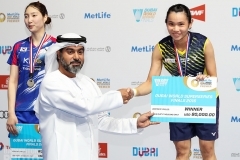 Du Yue was on a roll, not only after her upset in the mixed doubles but after an unbeaten streak for the week in Hong Kong. 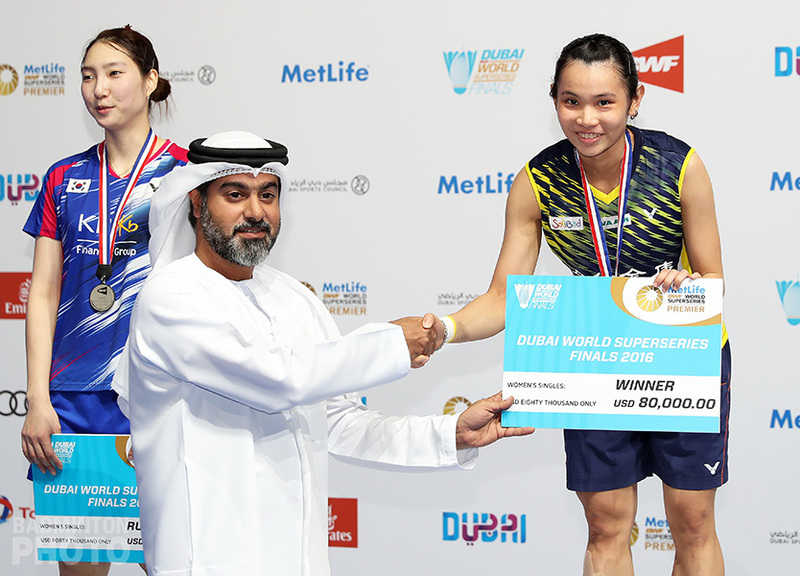 It was the first time Du had had to do double duty all week but the German Open champions finished it off in straight games against Ayako Sakuramoto / Yukiko Takahata who, at world #11, are actually the 5th-ranked Japanese pair. 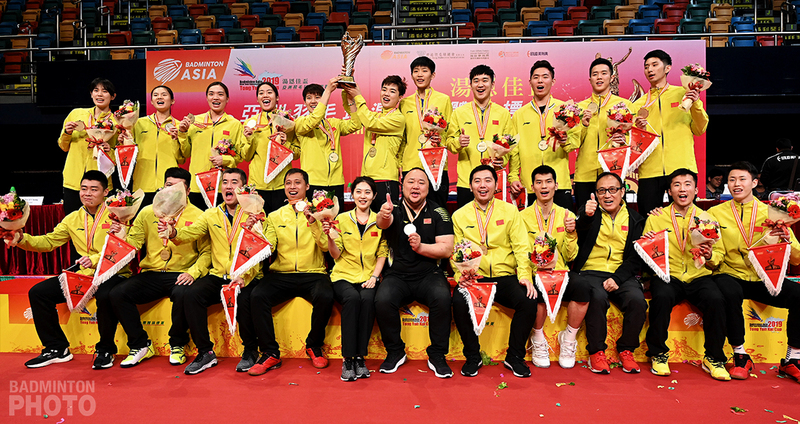 Although they rested most of their top players, China can take some confidence forward as they gear up to take back their title at the Sudirman Cup in May. 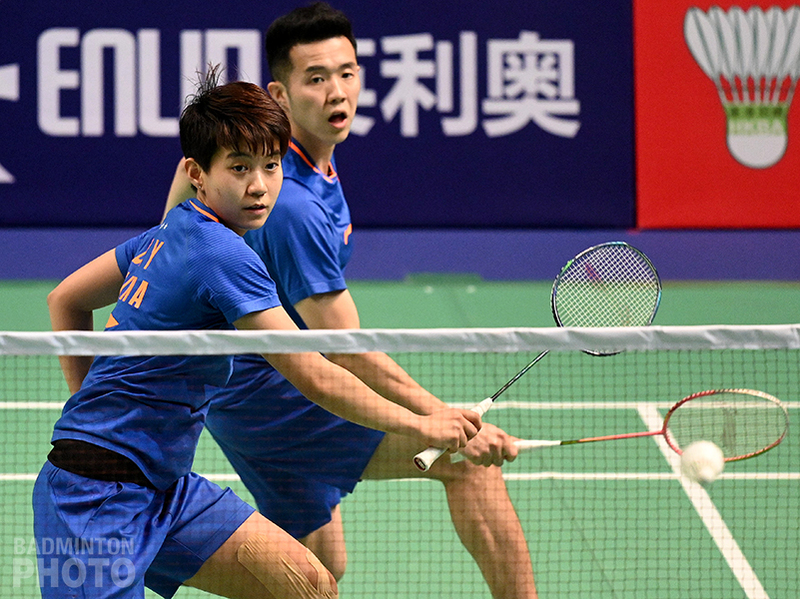 Titleholders Korea gave the Tong Yun Kai Cup a miss this year due to a conflict with a domestic team event, where their star men’s singles player sustained a serious ankle injury that will put him out of commission for months. 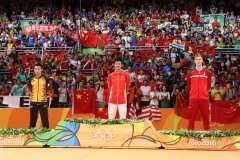 All but three of the teams that competed in the Tong Yun Kai Cup will be in Group 1 at the Sudirman Cup in Nanning, with Singapore entered in Group 2, Sri Lanka in Group 3, and Macau in Group 4.